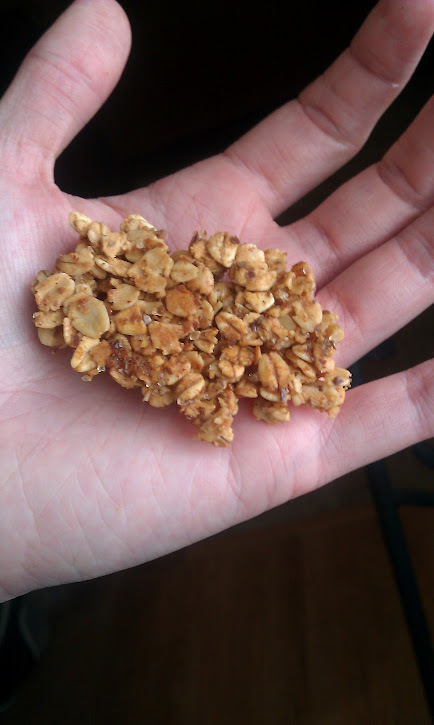 Over the course of the last year, I started getting into the habit of making my own granola bars, and then of making my own cereal, so after hearing from multiple people just how easy it is, and a few months of being frustrated at how quickly I ran out of my cereal base, I decided to make my own granola at home, too. I really just perused a few recipes online and tweaked them based on what I had, and was ultimately very happy with the super-easy results. Note: I opted not to incorporate any extras like nuts or dried fruit, because I wanted to be able to use the granola interchangeably (some morning I feel like almonds, some I feel like pecans) but you could easily add those into this recipe and get it all done at once. Pour wet ingredients over dry. Spread evenly over baking sheet. Bake for 50 minutes to 1 hour (or until browned and crunchy), stirring every 10-15 minutes. It’s that simple. And truthfully, as per usual Marissa, I got distracted during the baking and only stirred the granola once. Came out just fine. A few tips: use a rimmed baking sheet if you have one, to make your life easier while stirring. 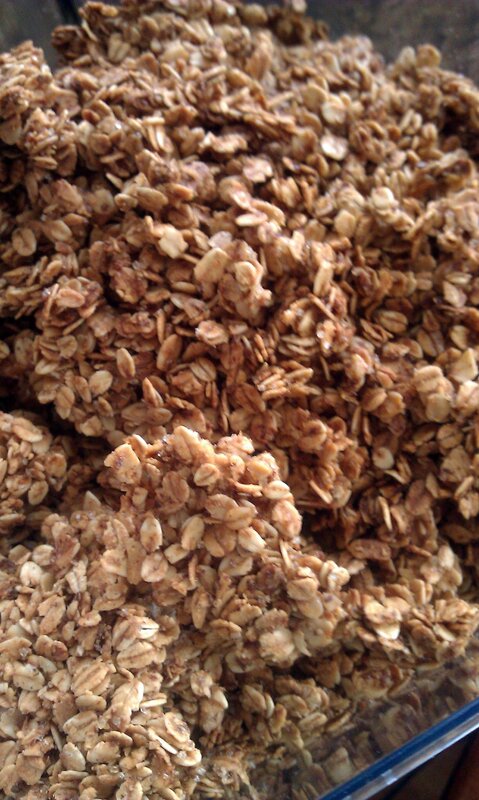 Use a rubber spoon or spatula to mix, spread and stir the granola. 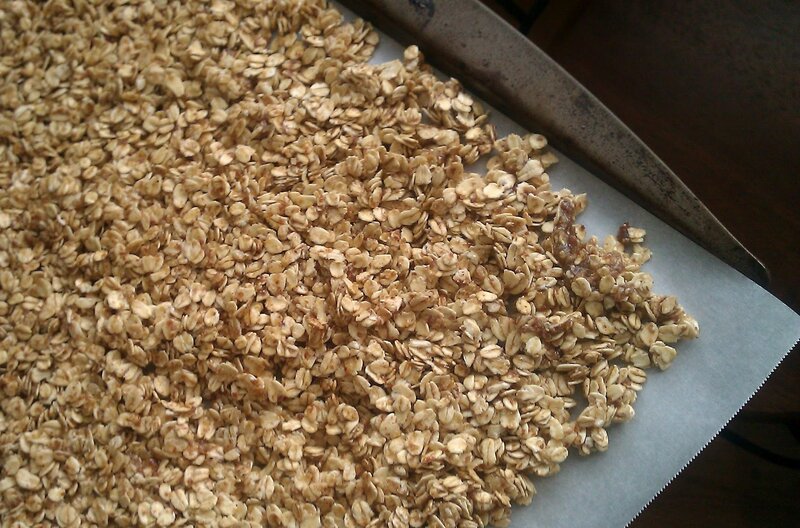 This helps chunks of the granola bake together, and if you’re gentle when you remove it from the sheet, you can maintain some of those, should you be a fan of clusters of oats. Store the granola in an airtight container, and so far, mine is going on two weeks and still crunchy! What are you favorite uses for granola — or granola recipe variations? Leave a comment and let us know!